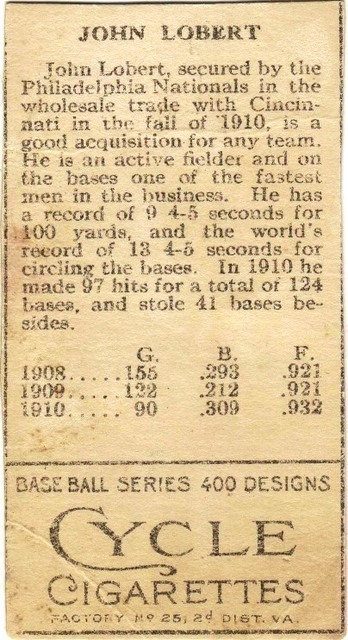 Net54baseball.com Forums - T205 design vs T80 design question ? T205 design vs T80 design question ? 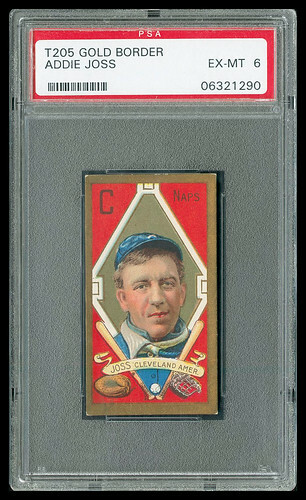 In early (Feb. - March) 1911, American Lithographic (ALC) issued one of their first (if not their 1st) Gold-bordered set of cards......their Military Series (T80) comprising of 50 cards. 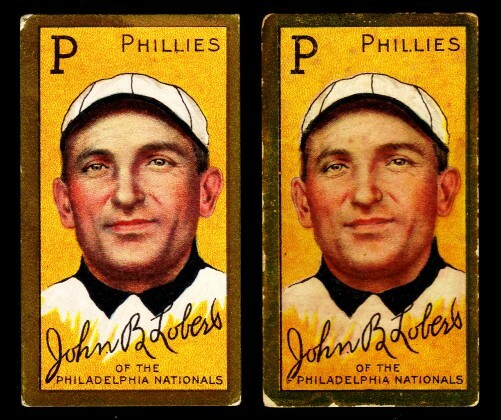 The gold border is very ornate, the colors are brilliant, the artistry is superb....and in my opinion, there is a certain "majesty" about these cards which is missing in the T205 design. But, before I get into T205's, here's a bit of T80 trivia that I think you'll find quite interesting. 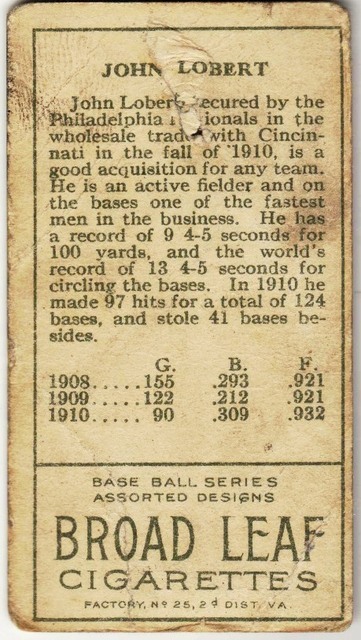 Now imagine this.... opening a LENOX (or UZIT) cigarette pack in the Spring of 1911 and finding a T206 card and a T80 card in it....WOW ! ! 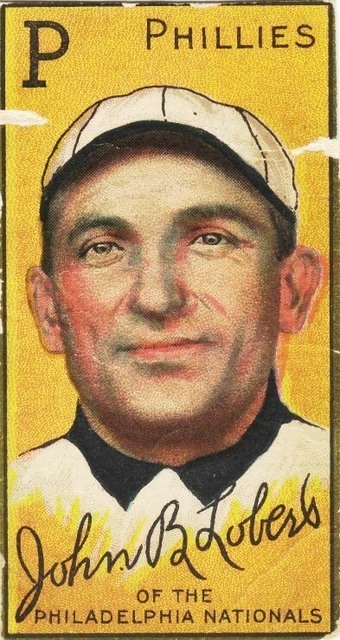 The design and printing of the T205 cards most likely followed the T80 production. Why did ALC not continue with the fancy gold-border design and the bold colors of the T80's ? 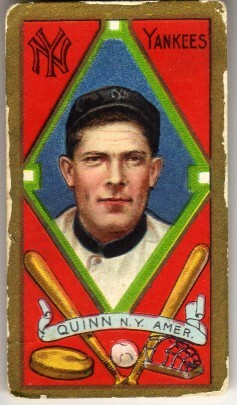 I love the T205 bios of each player; however, I guess I'm sort of a funny dude because I've never really cared for the front design of the T205 Major Leaguers. 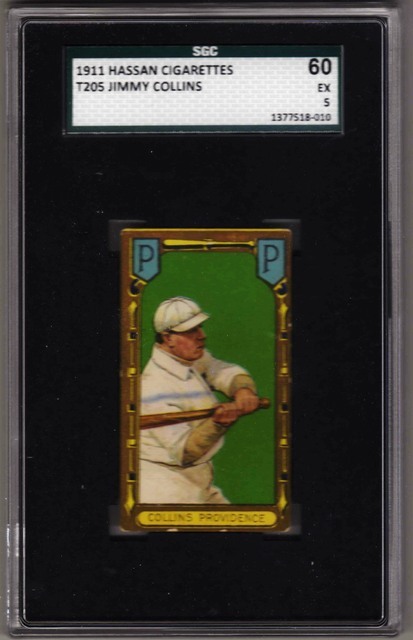 So, I'm curious how do some of you T205 collectors feel about this ? 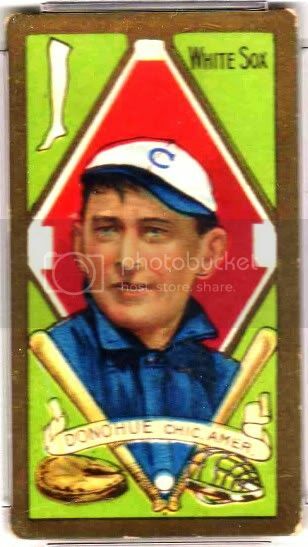 OK, here's where I'm coming from: in the 1990's, I put together a 209-card T205 set (including the elusive Hoblitzell No Stats card). Since then, I sold most of the cards in the set. 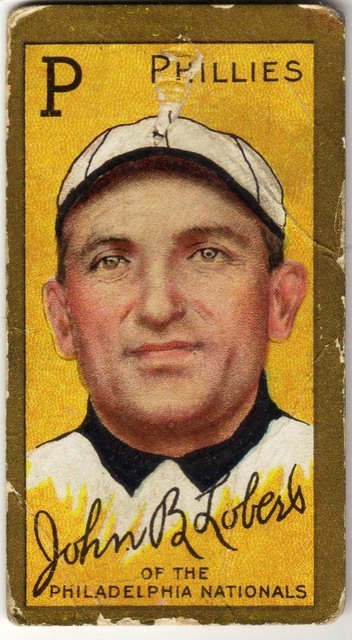 Love this card of Daubert (he should be in the HOF), plus he grew up just a short distance from where I live in Pennsylvania. 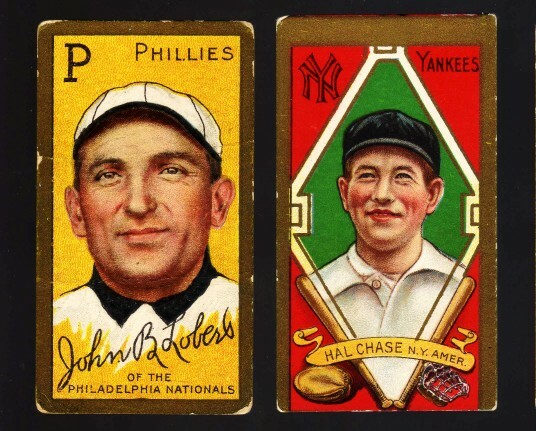 OK....let's see some T205's....and, let's engage in some T205 conversation. 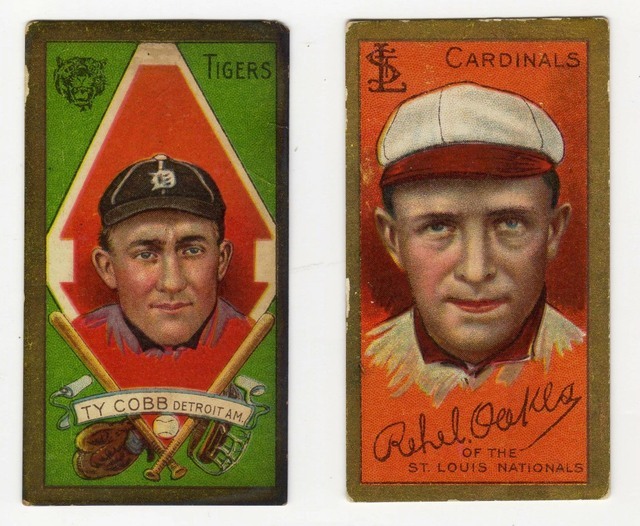 WOW....really sharp looking T205 cards. T205's don't get much better looking than those. Really great stuff guy....thanks for displaying these T205's. 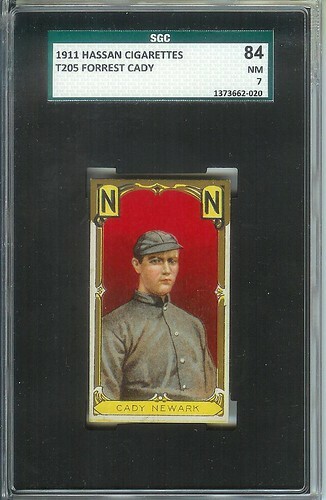 I'm not an fan of graded cards; however, you should have these T205 cards of your's graded. Once again, our thinking is alike (as you recently noted in another Net54 thread on T205's). go all the way back to 1947. Of which I still have and enjoy my cards in their original state. 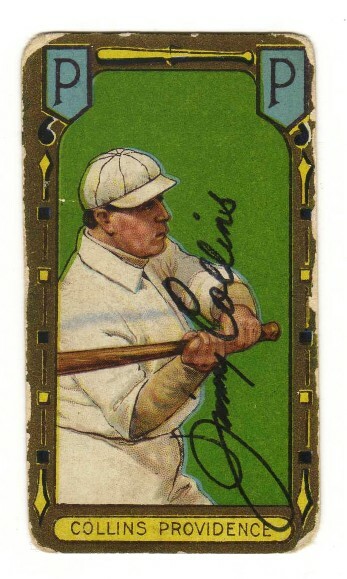 This Jimmy Collins card is the highest graded card in my set. Or, I should say it was. 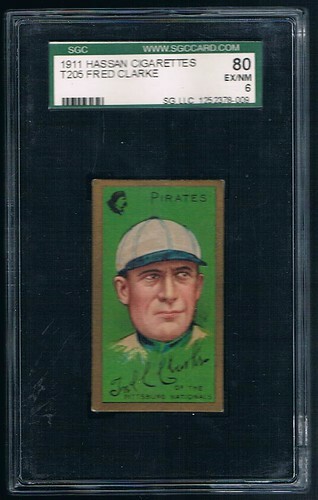 Recently, I sold this card to a close friend of mine. I'll have Jimmy Spence check it out). I will be setting up at the Valley Forge Show in Sept 21 - 23. Check it out....I'm sure you'll see some dealers and attendees from the good ole days at this show. 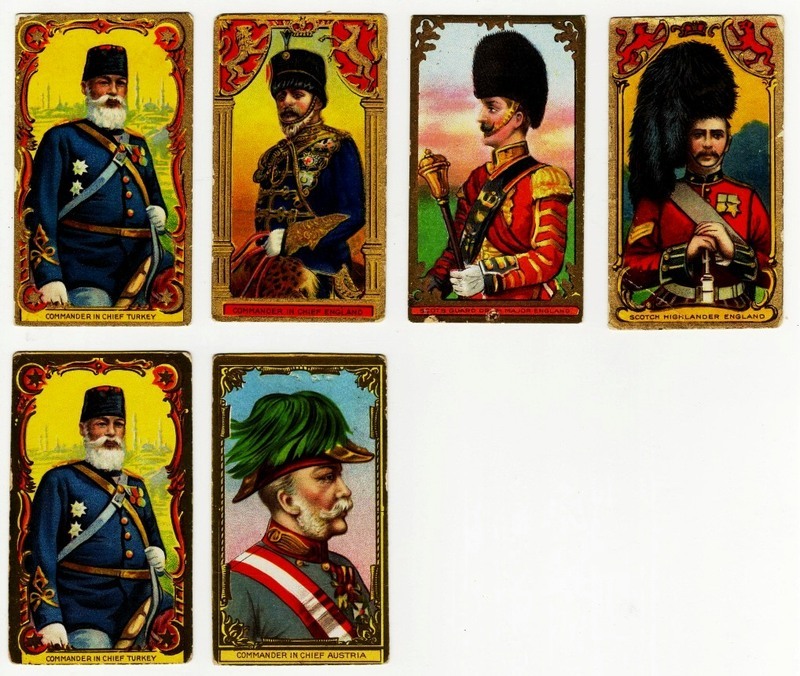 I am one card away from (well two once I find a decently priced Cairo Monopol card) from a T80 set. I think that the reason they did not continue with the ornate design was to possibly save money. It might also be because of the printing process. 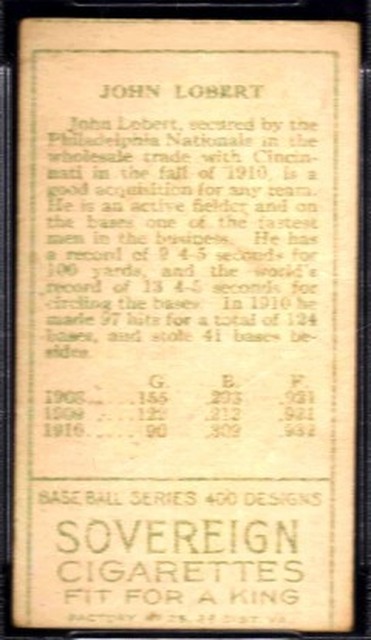 The new T205s included moveable type backs which I am sure was more expensive to produce. A simple border might reduce cost. 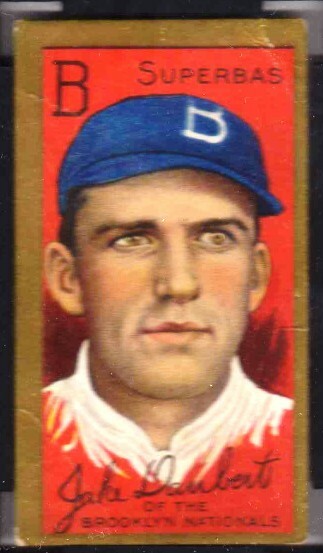 They did go more ornate in the later minor leaguers though, so who knows. No pics to post tonight but will try to get some tomorrow. You are making my point here. 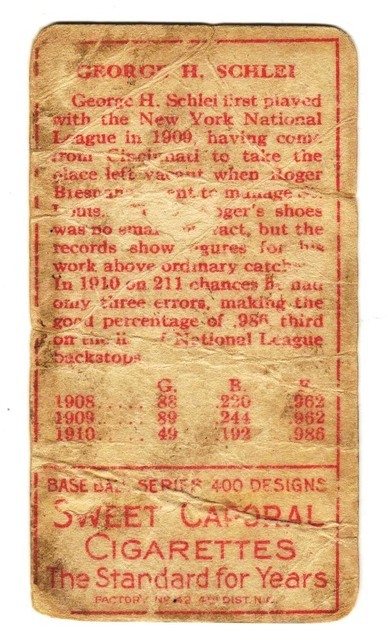 In early 1911, ALC started out with their artistic T80 style design; and, ended up with a similar T80 style design when they printed the T205 Minor League cards late in 1911. 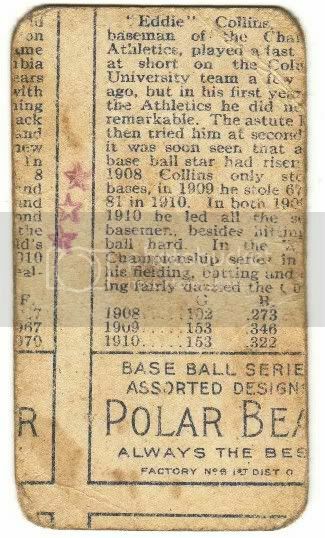 What occurred between these dates, I find quite puzzling ? ? Ted do you think this was all taking part in the beginning stages of the ATC shake up. That could have easily influenced design and quantities. 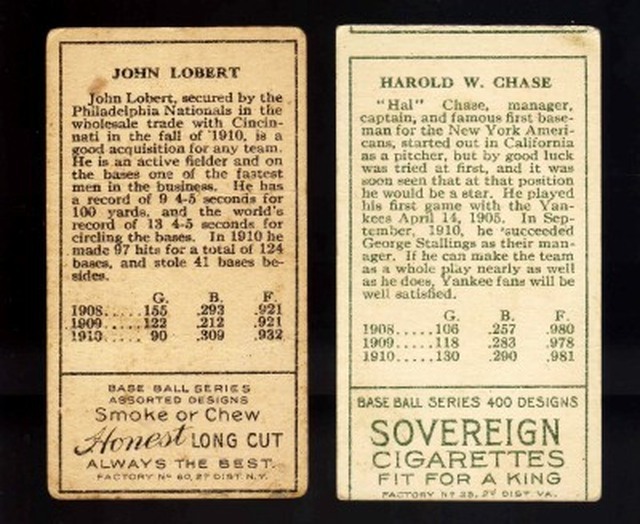 The impending ATC divestiture in 1911 may be a factor in why there were only 208 subjects printed instead of what some T205 backs claim.... "BASE BALL SERIES 400 DESIGNS". A subject matter which you have talked about in the past. 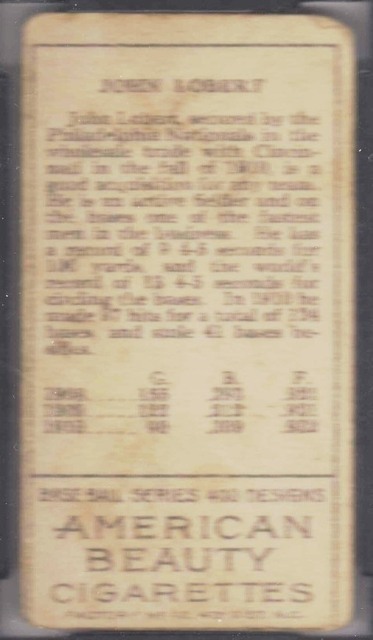 Speaking about that claim....what is your thinking as to why that claim is on some T205's, while others have.... "BASE BALL SERIES ASSORTED DESIGNS" ....? 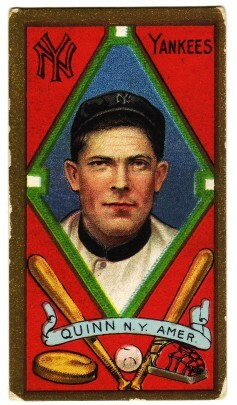 Nowadays, I continue the challenge of collecting certain T205's by putting together my A-B-C-D sub-sets. I have long thought it was a multi series issue that continued into the bird and military series but then I ask why would half be baseball? 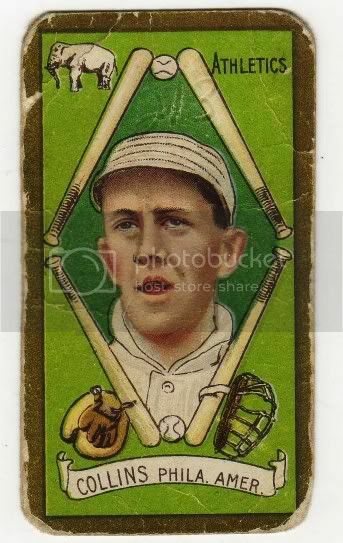 The disappearance of several factories that printed cards at the time makes me think that the T205’s are actually an unfinished set(not the first guy to think this). Another possible tie is very strong based on the amount of Hindu to Drums confirmed. I think Hindus were stopped during printing due to court issues surrounding the ATC issue. I have often wondered if the way they were distributed was a very simple process of all the fronts being printed and then these went to this factory and those went to that factory. That’s where the backs are applied and why some say 400 and some say Assorted. I base that on the master list showing certain cards only available at certain factories. Also if you remove all the type set on the back the entire boarder, company and factory name is etched. I wouldn’t be surprised if it was a copper plate inscribed with the boarder, company name, and factory #. Something that can easily be created and used multiple times. Very possible to use the plate again for other companies at the factory because copper is very soft and can possibly be flattened and then reetched/stamped with another company. All of these items are exactly the same on every card. I think the only consistent items found on every card! From there some young apprentice set all the type and it was verified by the printer and then printing started. For some reason I only think the sheets were a block of 18. Anyway even with all that type set to insert errors were probably extremely common and we see that all through the set as we go both front and back. Some got fixed and some didn’t. I would bet the handful of T205 Scrap we see now is just a drop in the bucket of what was run. Most of that probably found its way into a fire box of some sort. 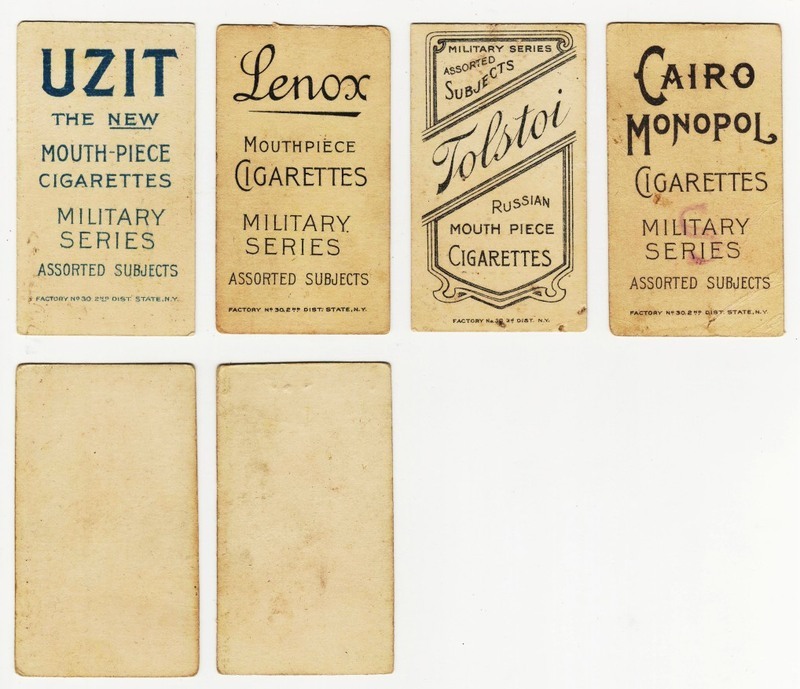 Very recently, I have expanded these A-B-C-D sub-sets in order to add some color (red) to them by including their SWEET CAPORAL, Factory #42 cards. 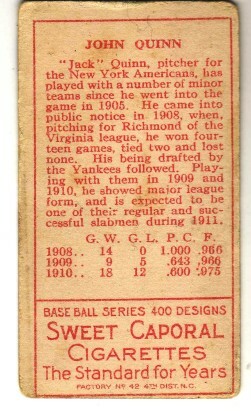 the AMERICAN BEAUTY card, but I cannot find it. Anyhow, any help in getting the BROAD LEAF or the DRUM is immensely appreciated. 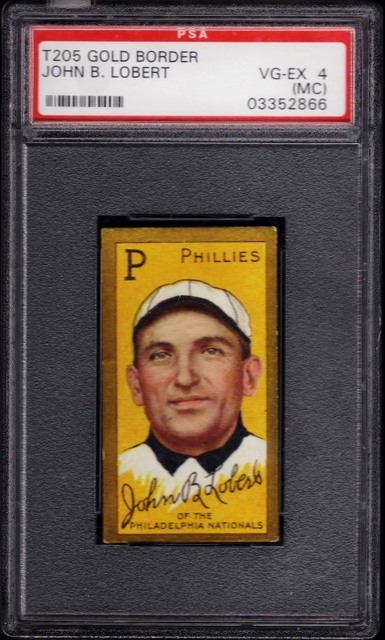 Thanks for posting your T205 Master list. 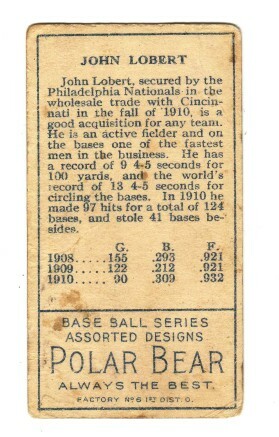 I thought these Lobert cards formed a "complete" run; and, your list confirms this. 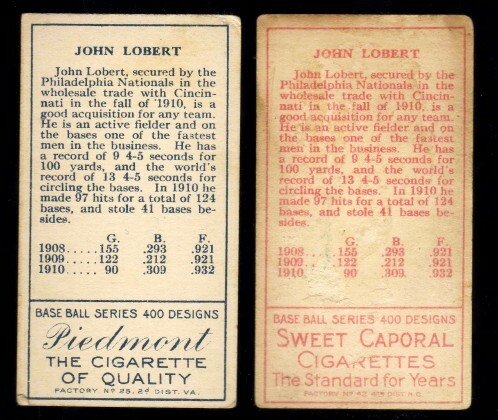 The DRUM back for Lobert has not yet been confirmed, so for the time being we'll call these 8 cards a "complete" run. 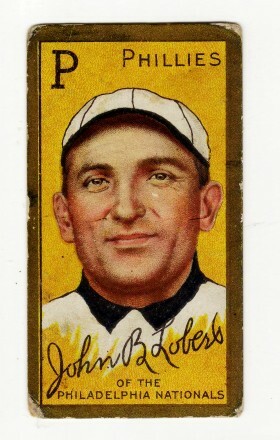 However, I do expect we will eventually discover Lobert's DRUM card. So you say you have completed your T205 set, but you still have a strong desire to continue the "T205 hunt". 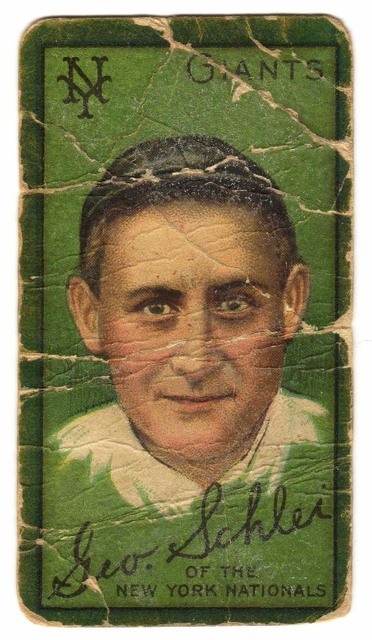 Well, here is a challenge for you....those mysterious T205 cards with GREEN borders. Good luck finding them. WOW ! 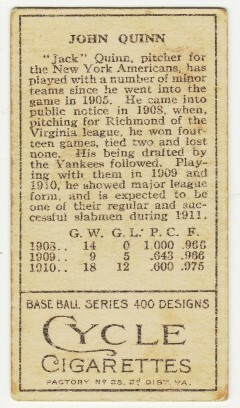 ......There are 3 threads on T205's tonight on the 1st page. T205's are certainly starting to get some respect on Net54. 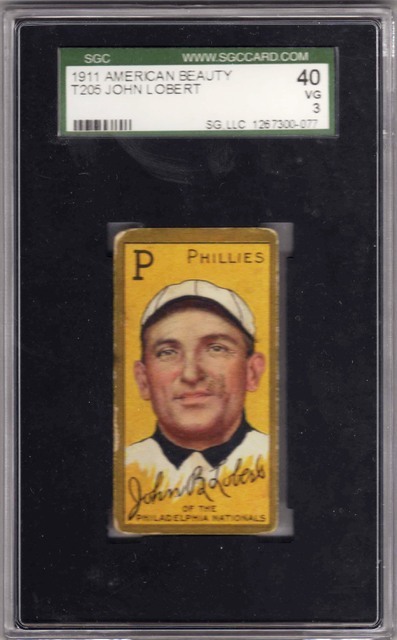 Here's an interesting T205 that I wasn't going to part with when I sold my T205 set years ago. But having said that, it's now in Andrew's collection. 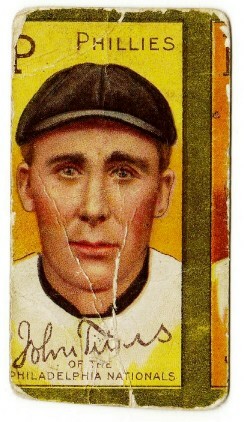 You get two T205 subjects for the price of one......John Titus and a hint of Tony Smith. please share it with us ?